If one should believe the many conspiracy theories, the world looks completely different, than we usually imagine. Conspiracy theories are modern myths, which challenge the official truth. Some seem plucked out of the air, while others are based on serious and thoroughgoing research. Even though the greater part of the conspiracy theories are overinterpretations of suspicious circumstances and accidental coincidences, then it is important to make oneself clear, that parts of history, as we know it, are an illusion. Furthermore there - especially known from Indian and Buddhist philosophy - is the idea, that the world, as such, is an illusion, or a dream, which it is about to wake up from. People who are identified with this illusion – and most people are - tend to create new illusions. The Matrix conspiracy is closely connected with this idea. Many of the popular conspiracy theories come from USA. This is hardly because that the European governments, companies, institutions and organizations are more reliable than the American. However, the freedom loving Americans all feel a personal responsibility as the society's watchdogs. For better or for worse it is lying as a fundamental value within the culture, that you hunt the truth at any price. This mentality has created a line of interesting stories, which all point towards another truth, than the one we know – or have become deceived to believe in. Many think, that all conspiracy theories have been made up by people, who can´t accept the world as it is. That is undoubtedly true in some cases, but when the popular conspiracy theories live onwards, this is because the theories are based on suspicious events or incredible coincidences, which raise justified doubt about the truth, we know. It is therefore important to discriminate between the serious and the unserious theories. But even the serious theories are criticized and taunted by the established society. In this way the world still is medieval. It is namely worth to remember, that the first, who claimed, that the Earth is round, got a similar critique. There also exist true conspiracy theories, since all scandals have begun as a suspicion and a theory. The Watergate case is a classic example of a scandal, where the involved were seeking to cover up the truth, and prevent an exposure. When the exposures first begin to roll, it often happens quickly, but there also exist theories, which through longer time have challenged the official truth. Karl XII´s death is one of the most interesting examples, but also Napoleon´s death and the tapping system Echelon are theories, which have managed to change the official truth. We live in a postmodern society, where the distinction between reality and appearance/superficies is about to disappear. Reality is often the images, we receive through the stream of information. And it becomes more and more difficult to see, which objective reality that lies behind. It seems more and more to be the images, which are real, and not some behind lying reality. In that sense all images are equal true - (because there is no objective instance to decide what is more true than something else) - but they are not equal good, for some images are more fascinating than others, some images affect us more than others. Therefore the expression of the image has come in focus. The expression of the image – it´s aesthetics – decides, whether it fascinates us or bores us. What apply for today, is the intensity and seduction of the expressions. The new truth criterion is, whether something is interesting or boring. Eternal values such as goodness, truth and beauty fall more and more away. This postmodern society is the society of the new wandering Sophists, whom I have categorized as The Matrix Sophists. The Matrix Sophists are a common term for the tens of thousands of consultants, coaches, practitioners, identity-experts, therapists, sexologists, educators, teachers, social workers, spin doctors, psychotherapists and psychologists, who all share the ideas of The Matrix Conspiracy; that is: some kind of mix between postmodern intellectualism, management theory, self-help and New Age. The death of the eternal values namely doesn't only apply for reality, but also the personality. The individual human being lives in a space without truth, in a time without direction, and with an information flow so huge, that the manageability beforehand has to be given up. How are we to live then? Well, these wandering Sophists say, you do this by creating yourself in a never-ending new production. The personality then becomes a persona (mask), an eternal change of role, because when the role begins to stiffen, it becomes uninteresting and boring. New is good, as these Sophists say. What before characterized the personality´s relationship to the world, was a call. Now the relationship has become a project (or as the Sophists say: a good story, a good branding, a good spin), which is formed, quickly is being carried out and dropped for the benefit of a new project, that can maintain the constant demand for intensity and seduction. Such a postmodern society, which seemingly is without any truth, is therefore also a society of conspiracy theories. Because it is the strength of the conspiracy theories, that they force us to think over the things, instead of just accepting everything, that historians, gurus, politicians, media and spin doctors tell us. But the paranoid conspiracy theories have thrown a bad light over conspiracy theories in general. It is actually a pity, because even if many theories are far out and have passed the borders of reason long ago, then there also are many serious theories, which are pointing towards official explanations, which we not directly ought to accept. And if a conspiracy theory is an attempt to create an illusion rather than an attempt to uncover the truth, then it is perhaps a conspiracy within a conspiracy. Them there are many examples of within the Matrix conspiracy. In this way it has for a long time been looked bad at when someone is occupying himself with mysteries and challenges to the accepted history, but if you can do it without declining to easy arguments or fanaticism, then the hunt for the truth is a very noble goal. And conspiracy theories have this hunt for the truth, or love of the truth, in common with philosophy. In the discussion about the reliability of our realization you often meet a variant of Descartes´ Argument from the Evil Demon. The variant (the so-called Brain-in-jar Hypothesis) says as follows: Some day surgery will have reached so far, that you will be able to operate the brain out of a human being and keep it alive by placing it in a jar with some nutrient substratum. At that time the computer research will perhaps have reached so far, that you will be able to connect a computer to such a brain and feed it with all kinds of data, so that the brain thinks that it is a human being, who lives in the real world with all the experiences, memories etc., this is implying, while the fact is that it only is a brain in a jar (read more in my articles The Dream Hypothesis and the Brain-in-jar Hypothesis and Simulation Theory). There certainly exist computer scientists, who think, that you can understand the consciousness as ”soft-ware” and the brain as a ”hard disc” - (Neuro-linguistic Programming (NLP) is for example very close to this thought) - and that you in very few years will be able to decode a human being for its whole content of consciousness, immediately before it dies, and therewith provide its soul an eternal life – admittedly on a discette, but what the hell, it is after all always better than to pass into nothingness, and the discette will after all be able to be played again and again. I don´t talk about people as batteries for machines, but as batteries for an ideology: The Matrix Conspiracy. An ideology is a malfunction in the human mind, which functions with Machiavelli´s implied, terrible, assumption, that the end justifies the means, and where the means to get there is to make people into slaves for this goal. Today people undoubtedly are being made into empty consumer machines. There is no doubt either, that we, through the teachings of the Matrix Sophists, are being supplied with some kind of virtual reality, that seems to justify Machiavelli´s famous and notorious assumption – for instance through elimination of critical thinking, which thereupon is replaced by magical thinking. To teach people this, is the main job of the Matrix Sophists. But this is in opposition to the message of the movie the Matrix, which is, that we should create a rebellion, and try to get out of the illusion. In that way you can say that the new Sophists are the “machines”, or the rulers of the Matrix, which keep people as slaves. All truths are in this Matrix said to be equally true and equally valid, and if one person´s truth, or one culture´s truth, try to intervene in the truths of other individuals or cultures, then this is considered as an aggression. Through this we have reached the highest level of postmodern development for better or for worse. The same fully individualized core of personality, which makes us able to step out of the past´s fixed and subconscious attachment, has itself become our main interest, center for our identity in a degree, that almost all our awareness are directed inwards in a global seen exceptional narcissism. That is one of the ways the Matrix keeps us in the illusion. The Matrix has in this way succeeded in creating an illusion of, that it is a kind of sacrilege (intolerance/thought-crime/old-thinking) wanting to utter yourself about, what is good and evil, true and false, beautiful and ugly, at the same time as the Matrix Sophists do this themselves in all possible quibbling ways, under cover of concepts such as tolerance or new-thinking. The idea that we through the power of thought can create reality as we want to is the central message of The Matrix Sophists. Notice here the similarity with precisely Descartes´ cogito-argument: Cogito ergo Sum (I think, therefore I exist). The Matrix Sophists are teaching people in thinking in terms like this: I think I am a success, therefore I am a success; I think I am a fiasco, therefore I am a fiasco; I think I am rich, therefore I am rich; etc., etc. All this is a part of the Matrix Conspiracy. But why is the Matrix Conspiracy so focused on the ego? Because the ego is the central element, that is feeding the Matrix with energy. The ego is the main battery of the Matrix. The reason is, that the Ego always is in a state of becoming. Becoming is the central concept in personal development: all the time to be in a state of becoming something else than what you are, a constant striving from past to future, where the goal is constantly increasing success. In this you give your energy to that part of the Matrix ideology, which is Consumer Capitalism. Contrary to true spirituality where being is the central, being in the sense studying what you are, to be what you are, to give up past and future, and be in the Now with what you are. In this the energy is flowing away from the Matrix, back to yourself. That is also why I consider the art of loafing as a part of the rebellion against the Matrix Conspiracy (see my article The Hermeneutics of Suspicion (the thought police of the self-help industry) and why I am an apostle of loafing). Becoming is the central concept in the false spirituality of the Matrix Conspiracy. Being is the central concept in true spirituality. So, the main mover of the Matrix Conspiracy is subjectivism and relativism. You could call subjectivism and relativism for the main Matrix philosophy. I have connected the Matrix Conspiracy with three other known conspiracies. Note that though there might exist groups/societies with these names then I don´t concretely refer to these (The bilderberg Group does exist). I use the names as metaphors for tendencies in the postmodern Zeitgeist, which otherwise would be very difficult to explain. A) The main political tool is economics and Consumer Capitalism. B) The main intellectual tool is subjectivism and relativism. C) The main pedagogy is based on psychology. A headline for these technologies could be the concept of self-improvement (personal development). A concept you as a fact see described in EU´s project on lifelong learning and education. Management theory and its self-help tools are directly described in EU´s project. More or less accepted are also Nonviolent Communication and NLP, which in many educations are on the fixed curriculum. New Age is a more popular, common movement. But they all include the same ideas. The Bilderberg Group is said to be runned by Illuminati, which is a secret society, that goes way back in history. The background is real. This organisation has in fact existed. The goal was a challenge to for instance the church, working towards a new world order, and with connections to occultism. The goal was a world without religions, often referred to as the New World Order. Illuminati is said to be an advocate for a scientifical world-view, but this has nothing to do with true science. True science can´t be connected with certain political views, and/or occultism. But there is an ongoing strong demand that science has to be integrated with New Age (occultism and spirituality) and/or reductionism (postmodernism and politics). You see these demands all the time, especially in New Age magazines and books. So the “scientifical” in Illuminati is rather pseudoscience. Note that I don´t discriminate between the pseudoscience of New Age - (demands for that science has to be integrated with certain alternative “spiritual” sciences) - and the pseudoscience of reductionism - (demands for that science has to integrated with, or is the same as, certain atheistic/political/postmodernistic point of views) - though these views can disagree highly in between. They all advocate subjectivism and relativism, and certain occult and/or political views. So, my concept of Illuminati has to do with the rise of scientism, which is shared by New Age and Atheist fundamentalism. Scientism is the ideology of science. The term scientism generally points to the cosmetic application of science in unwarranted situations not amenable to application of the scientific method or similar scientific standards (see my articles The pseudoscience of New Age and reductionism , The pseudoscience of reductionism and the problem of mind and Atheist Fundamentalism). In my Ebook Evolutionism - The Red Thread in the Matrix Conspiracy, I have made a complete examination of the development of scientism, from the scientific breakthrough from approximately 1550 onwards, to the present day Californian ideology with its transhumanistic utopianism, and the dreams about that humans ought to melt together with machines. You can in that connection talk about the treatment society, where both the coaches and psychotherapists of the self-help industry, as well as the psychiatrists and doctors of the pharmaceutical industry, function as a kind of thought police, though these people most often are in opposition to each other, as seen in the movie The Cuckoo´s Nest (read more about this in my article The hermeneutics of suspicion (the thought police of the self-help industry) and why I am an apostle of loafing). They have, in the society, already succeeded in reducing religion to psychology, spirituality to biology, and philosophy to ideology (Consumer Capitalism). About the psychologizing tendencies, see my articles Humanistic psychology, self-help and the danger of reducing religion to psychology and Self-help and the Mythology of Authenticity. So, there is in fact, a New World Order emerging: the world of Alernative History, Alternative Physics, Alternative Medicine and, ultimately, Alternative Reality. How, given the recent and sorry story of ideologically motivated conceptions of knowledge – Lysenkoism in Stalin´s Soviet Union, for example, or Nazi critiques of “Jewish science” – could it again have become acceptable to behave in this way? In my article The Sokal Hoax you can read more about this development. B) That ideology is a malfunction in the human mind. C) That there is introduced a false spirituality where the main worship is the Ego, contrary to the traditional spiritual directions, where the main goal is the elimination of the Ego (see my article The ego-inflation in the New Age and self-help environment). No one should doubt that sophistry is alive and well. The Matrix Conspiracy is permeated with it. We see it in the postmodern intellectualism, in the management culture, in the self-help industry and in the New Age environment. The Sophists are back with a vengeance, and are all the more to be feared, in that they come disguised as philosophers and scientists. For, in this time of helpless relativism and subjectivity, philosophy and science alone has stood against the tide, reminding us that those crucial distinctions on which life depends – between true and false, good and evil, right and wrong – are objective and binding. Philosophy and science has until now spoken with the accents of the academy and the laboratory and not with the voice of the fortune teller. My mission is again to create such a temple to truth in midst of the falsehood of the Matrix Conspiracy. 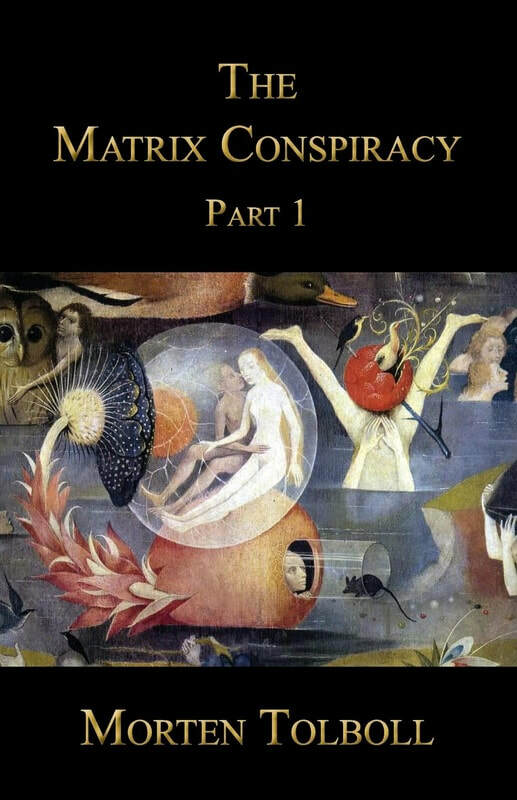 The Matrix Conspiracy is my main term for the strange beliefs, amusing deceptions, and dangerous delusions, which today are manifesting in the outbreak of a culture of self-assertion, where the classical deadly sins have been turned into virtues. Self-assertion is the main tool used in order to keep us in the illusion. It is a culture of personal development/self-improvement (Management theory, New Age, Nonviolent Communication, Neuro-linguistic programming, and New Thought), which is creating a “me-me-me-and-then-perhaps-you-if-it-serves-me-logic”, and a spirituality, where the object of worship is the ego. It is a culture, where everything is psychologized, emotionalized and therapized, so that political incitation and social responsibility are removed by disguising social problems as personal problems. It is a culture where moral values only are based on what feels good. It is a culture of suspicion, that denies and renounce what people think, and the reasons they produce, in order to find the “real” reasons. It is a culture, where debate is about playing down or directly offending other people. It is a culture, where science and critical thinking have been replaced by magical thinking (you can create yourself and the world as it fit you). But it is also a culture (though it on the surface sounds individualistic), which is about to develop into a global, totalitarian meritocracy, where psychology is controlling people down to the smallest details. This might happen when Western Consumer Capitalism and Chinese Communism in all probability will melt together (read more about this development in my article The Hermeneutics of Suspicion (the Thought Police of the Self-help Industry) and why I am an Apostle of Loafing). A philosophical life-practice is a rebellion against the moral of society, against all images of life, both your own and the others´. If we shall save our humanity, and our democracy and welfare society, it is absolutely necessary, that we in relation to democracy-parasitic ideologies become philosophical rebels like Socrates, Henry David Thoreau, Gandhi, Martin Luther King or Krishnamurti – a kind of spiritual anarchists. Also Albert Camus had this thought. In his book The Rebel he investigates the question of terror on many different levels, and have some distinctions, especially the distinction between rebellion and murder. He emphasizes that the rebellion – but not necessarily a violent – is necessary, if the world not shall stiffen, and if you at all shall be able to survive as a human being. A rebellion can cost human lifes, as in the resistance movement during the Second World War, but murder must not be a goal in itself. In that connection he mentions the role of art, which creates a space in the single person where he in a situation of rebellion can orient himself, so that the rebellion not becomes inhuman. The problem with Albert Camus´ philosophy is though, that it ends in subjectivism, which really can´t function as ethical foundation. I constantly makes the distinction between ideology and philosophy/human rights. A rebellion must not be ideological, where you treat humans as means for a goal out in the future; that is: you must not treat human problems instrumentally. A rebellion must always be a philosophical revolution, where you treat humans as goals in themselves; that is: where you treat human problems in a communicative way. In that connection the concept of civil disobedience is important. Civil disobedience describes the situation, where a person offends the law by referring to moral values, which the disobedient puts above all citizens´ duty to obey the law. Civil disobedience is therefore closely connected with ethical practice – and not the use of violence. On the constitutional plane civil disobedience can contribute to, that there happens a change of system, and yesterday´s disobedience can thereby become the next day´s heroic deed. The concept of civil disobedience as it is known today, was created by the American author Henry David Thoreau in an essay from 1849, wherein he advocated the private conscience´s right against the state's demands, for instance the refusal to pay taxes under the war against Mexico. Civil disobedience is especially known from Gandhi and Martin Luther King, and in the campaign of protest against the Vietnam War. In Denmark it was seen during the Second World War, where some people helped Jews to escape to Sweden. The reason why civil disobedience is a necessary political tool is, that any political ideology in some way is offending the human rights by making humans into means for a goal projected out in the future by the mind of the ideologist, and that the end therefore, with Niccoló Machiavelli´s famous and notorious words, justifies the means (Machiavelli´s work Il Principi is a textbook in statesmanship, and have been source of inspiration for, for instance, Hitler). Ideology of any kind, political or religious, is - to cut a long story short - a psychic disease, a malfunction in the human mind. The correct understanding of the human rights is healing this malfunction. The human rights deal with the idea about the individual human being´s autonomy and dignity: You shall treat the other not as a mean, but as a goal. Therefore the exact opposite of Machiavelli´s preachings. This doesn´t mean though, that I advocate totally pacifism. I have investigated this in my book Meditation as an Art of Life – a basic reader, in the philosophical question How ought my attitude to war be? The main goal of the philosophical revolution is the exposure of the Matrix Sophists. Let me explain with a distinction between two kinds of education: philosophical education and ideological education. Ideological education - (today through psychology) - differs from philosophical education in all these respects. Its purpose is not the pursuit and acquisition of truth, but rather the formation of individuals, who can effectively conduct their lives within, and support, their political (and/or religious) community. It is unlikely, to say the least, that the truth will be fully consistent with this purpose. Nor is ideological education homogeneous and universal. It is by definition education within, and on behalf of, a particular political (and/or religious) order. Nor, finally, does ideological education stand in opposition to its political (and/or religious) community. On the contrary, it fails – fundamentally – if it does not support and strengthen that community. Ideologies are using propaganda in order to get their “truths” forced through. In that connection they use thought distortions. The sophists were teachers of rhetoric, who against a fee, taught people how to persuade other people about their “truths”. Rhetoric, or sophistry, is precisely the art of persuasion. Rather than giving reasons and presenting arguments to support conclusions, as Socrates did, then those who use sophistry are employing a battery of techniques, such as emphatic assertion, persuader words and emotive language, to convince the listener, or reader, that what they say or imply is true. Critical thinking, or philosophy, is in opposition to thought distortions. Critical thinking is about spotting thought distortions, and examining them by presenting reasons and evidence in support of conclusions (see my book A Dictionary of Thought Distortions). Strasbourg, April 7, 2011. The 47 Member States of the Council of Europe are close to finalizing a new convention that defines “gender” as Social Construct. So, a quite certain trend within a quite certain single branch of science (Sociology), shall from now on define what a human being is. This trend is called social constructivism (or social contructionism), and is the latest craze in reductionism; that is: a pseudoscientifical point of view with a political agenda. It belongs on the left-wing environment side of the heredity and environment idelogy (read more about this reductionism in my articles Constructivism: the postmodern intellectualism behind New Age and the self-help industry and The Sokal Hoax). Also read my article Feminism as Fascism. Here I show that The Matrix Conspiracy is a sign of the rising of a new Fascism (I consider the new feminism as playing a central role in the Matrix conspiracy). So, we see, that my theory about the Matrix Conspiracy is very well alive and in progress.